1st Corinthians 15:12-19 But if it is preached that Christ has been raised from the dead, how can some of you say that there is no resurrection of the dead? If there is no resurrection of the dead, then not even Christ has been raised. And if Christ has not been raised, our preaching is useless and so is your faith. More than that, we are then found to be false witnesses about God, for we have testified about God that he raised Christ from the dead. But he did not raise him if in fact the dead are not raised. For if the dead are not raised, then Christ has not been raised either. And if Christ has not been raised, your faith is futile; you are still in your sins. Then those also who have fallen asleep in Christ are lost. If only for this life we have hope in Christ, we are of all people most to be pitied. Without the Resurrection of Jesus, man’s age-old quest for immortality must begin again. Let’s get very real for a moment here. If Jesus was crucified by the Romans (a punishment experienced by thousands of rebels against the Roman regime) and was laid in a tomb to never rise again, then Jesus of Nazareth was perhaps a great moral teacher in the tradition of the Jewish rabbis of the past, but he was clearly not all that he claimed to be. In John 10:30 Jesus claimed to be the giver of eternal life. If Jesus died, to never rise again thereafter, then what reason do we have to be confident in him for eternal life? Christianity without it’s central offer of eternal life to all those who will believe in Jesus Christ, is a truncated faith robbed of it’s true power and greatness. The Resurrection cannot be “mythologized” and still retain its’ power. Some very liberal Christian theologians such as John Shelby Spong and John Dominic Crossan have concluded that the historical evidence is against Jesus Christ rising again in the flesh on the third day. However, in an attempt to salvage the Christian message, they will argue that the Resurrection can be viewed “metaphorically” and that the risen Jesus the early Christians experienced was a subjective one. This line of reasoning has lead to such jarring (and may I say foolish) affirmations such as “I believe in the risen Lord, but not the empty tomb.” Such an understanding will simply not do in Paul’s theology. For the early Christian church, the risen Jesus was someone who could be touched, who could eat with his disciples, who could be experienced just as really as before his crucifixion. There is no doctrine more central to the Christian faith than the Resurrection of Jesus. As I stated before, Paul does not hedge his bets on the doctrine of Jesus’s Resurrection. In Paul’s estimation, if Jesus did not rise again then Christianity is deprived of all of its’ truth value. Does Paul ever speak of any other doctrine in quite this manner in the New Testament? Now, let me say that this should not lead us to conclude that all doctrines outside of the Resurrection are not important. Indeed, all Christians ought to believe in the Trinity and the authority of the Holy Scriptures. However, it is undeniable that Paul thought that the doctrine of the Resurrection held a unique and central place in the corpus of Christian doctrine. As I write this “Resurrection Reflection” for Easter 2018, the Apostle Paul reminds me of the centrality, the wonder, and the beauty of the Resurrection of Jesus. I am reminded of the historical evidence for Jesus’ Resurrection. I am reminded of the fact that his disciples were willing to give their lives for the cause of Jesus. Is it rational to conclude that they would die for a “metaphorical” Jesus, a product of their own imaginations? Perhaps most of all I am given comfort and joy because I know that my redeemer lives and because of that eternal life is sure. Thus I say, this Easter 2018, with the Christians of the past: He is Risen, He is Risen Indeed! Does the Historical Evidence Favor Jesus of Nazareth Rising from the Dead? Just a little something to think about as we prepare for the Lord’s Day tomorrow. Blessings, Julian Pace. Even the casual observer of the worldwide Christian church would conclude that on many issues of theology, spirituality, and practice Christians disagree, sometimes markedly so. However, this same observer would be remiss if they were to conclude as well that Christians are not united by anything at all. Indeed, whether Roman Catholic, Eastern Orthodox, Oriental Orthodox or Protestant all would affirm certain doctrines as essential to the faith: The Trinity, Jesus as true God and true man, and of course the Resurrection of Jesus. Of these doctrines, perhaps none is more essential to the faith than that of the Resurrection. Indeed, if Jesus of Nazareth is dead today than the other doctrines just mentioned are mere fantasies. While the doctrine of the Resurrection has come under heated assault almost since its’ first proclamation, the good news for the Christian is that the historical foundation for this doctrine is strong. Indeed, it will be the purpose of this article to demonstrate that the Resurrection is supported by multiple lines of historical evidence and that there is no need for the Christian to have anything less than full confidence in this event’s reality. The truth of the Resurrection has been defended by a number of intelligent and informed Christian scholars such as William Lane Craig, Gary Habermas, N.T Wright, and Wolfhart Pannenberg. Many lines of evidence have been suggested by these scholars as supporting the factuality of Jesus’ Resurrection. In this article, I will focus only on three. First, it will be shown that the vast majority of New Testament scholars affirm that Jesus existed historically and died by crucifixion sometime in the early first century. Second, it will be shown that Jesus was probably given an honorable burial by Joseph of Arimathea and that the tomb he was interred in was found empty by his followers. Third, it will be shown that the early Christians almost certainly had veridical experiences of the Risen Lord. Now, it is not the position of this article that because the vast majority of scholars accept Jesus’ existence and crucifixion then it is therefore necessarily true. However, the fact that there is almost no debate on these issues in the academy does speak well for the quality of the evidence that undergirds these two important facts about Jesus of Nazareth. Indeed, the evidence for the basic details of Jesus’ life is simply overwhelming and at this juncture simply irrefutable. The second line of evidence is more contested within the academy, though perhaps not as greatly as one might assume. Indeed, many fine critical scholars are willing to accept that Jesus of Nazareth was given an honorable burial in a tomb and that said tomb was found empty by his early followers. Indeed, there are a number of good reasons to believe that the empty tomb narrative is basically correct. Noted apologist and scholar William Lane Craig has ably defended the fact that Jesus was given an honorable burial by Joseph of Arimathea in his well-received book Reasonable Faith. Craig is convinced that the burial story recorded in the Gospels is accurate for two reasons. First, Craig demonstrates that the historical detail of Jesus being buried by Joseph of Arimathea is contained in the Gospel of Mark, this is important as the Gospel of Mark is both an early and independent source for the life of Jesus and thus Craig reasons that the burial account is probably sound. Indeed, at least some scholars are convinced that Mark was written only fifteen years after Jesus’ lifetime, thus greatly increasing the likelihood that it is a reliable source for the life of Jesus. Furthermore, Craig cites the German source critic Rudolf Pesch for further support as Pesch is convinced that the source behind the burial narrative dates to within seven years of Jesus’ lifetime. Second, Craig is convinced that Jesus was given an honorable burial by Joseph of Arimathea because he thinks it is unlikely that the early Christian community would have invented a story about a member of the Sanhedrin showing such respect for the body, and thereby the person, of Jesus of Nazareth. Acts 2:23, 36 and 4:10 demonstrate well the animosity the early church held towards the Sanhedrin. Indeed, Acts 2:23 records the Apostle Peter as saying “This Man, delivered over by the predetermined plan and foreknowledge of God, you nailed to a cross by the hands of godless men and put Him to death. (NASB)” The reference to “godless men” by Peter is almost certainly a reference to the Sanhedrin and demonstrates well how poorly the early Christian community viewed this body. The burial account by Joseph of Arimathea has received some criticism from scholars. Indeed, Bart Ehrman has suggested that the Romans would have had no reason to release Jesus’ body to Joseph of Arimathea. In fact, they preferred to let bodies rot upon the crosses so as to make an example to would be rebels. Furthermore, Ehrman is convinced that Pontius Pilate, being the particularly nasty fellow that he was, would not have released Jesus’ body under any circumstances. There are a number of problems with this argument. First, it simply does not deal with the evidence in favor of the burial narrative specifically enough. To very specific lines of evidence Ehrman responds with an argument that is the equivalent of “this could have possibly happened” which is not a very strong argument. Second, it is not unreasonable to conclude that the Romans may very well have bowed to Jewish pressure and allowed them to remove the bodies of those crucified. Particularly during Passover which was one of their most sacred festivals. Indeed, Josephus notes that Pilate upon entering Jerusalem offended Jewish sensibilities by displaying Roman effigies and standards within the city. After much Jewish agitation, Pilate removed the images. Third, we are privy to at least one example of people being removed from the cross due to the petition of a Jew. This Jew being Josephus when he begged the Emperor Titus to release three of his acquaintances from the cross. Titus acceded to Josephus’ request. Ehrman is a credible biblical scholar, and his critique should not be dismissed out of hand, but his objections are not strong enough to discount the basic historicity of the burial account of Jesus of Nazareth. There is also much historical evidence in favor of the early followers of Jesus of Nazareth finding his tomb empty a few days after his death by crucifixion. Interestingly, a study done by Gary Habermas that surveyed the vast majority of the literature pertaining to the study of the Resurrection of Jesus in English, German, and French between 1975 and 2005, showed that an impressive seventy-five percent of scholars who wrote on the subject were convinced that Jesus’ followers found his tomb empty a few days after his death by crucifixion. Again, it should be noted that the argument presented here is not one in favor a majority vote deciding a historical event’s veracity. However, the fact that such a large number of scholars find the evidence in favor of the empty tomb at least credible should cause the skeptic to at least give the matter some consideration. Perhaps the most interesting detail of the Markan account of the empty tomb is that the writer of Mark’s Gospel records for us that the first witnesses to the empty tomb were women (Mark 16:1-8). While this does strike us moderns as unusual, this was truly noteworthy in first century Palestine. This is because in Jesus’ day women were not seen as reliable witnesses to an event regardless of the circumstances. If the Apostles created a legend about the tomb being empty it is unlikely that the legend would have recorded that women were the primary witnesses to the empty tomb. The fact that Mark’s Gospel records what was probably a rather embarrassing detail to the early Christian church, greatly increases the likelihood that the account is true. Several objections to the truth of the empty tomb have been suggested. Perhaps the most popular secular explanations of the empty tomb are the Wrong-Tomb Theory, The Apparent Death Theory, and the Conspiracy Theory. The Wrong-Tomb Theory explains the empty tomb away by asserting that the disciples simply visited the wrong tomb on Easter morning. This explanation is implausible for two reasons. First, if the story of Jesus’ burial by Joseph of Arimathea is true then there is no reason to believe that Jesus’ final resting place was not reasonably well known. Second, it is implausible to suggest that the Sanhedrin would have allowed the early Christian belief in the Resurrection to continue if the correct tomb could have been located and Jesus’ body put on display for all to see that he was truly dead. Almost no one defends the Apparent Death Theory as an explanation for the empty tomb any longer, though it was embraced by some people, including Friedrich Schleiermacher the great liberal theologian, in the early nineteenth century. This view states that when Jesus was taken from the cross he was not truly dead. Once laid in the tomb Jesus revived and presented himself to his disciples as the Risen Lord. This view is at best deeply problematic for it ignores the fact that the Romans were expert executioners who simply would not have allowed for a mistake of this magnitude. Simply put, no one who endured the entire punishment of crucifixion could have reasonably survived. The disciples’ willingness to suffer and die for their beliefs indicates that they certainly regarded those beliefs as true. The case is strong that they did not willfully lie about the appearances of the risen Jesus. Liars make poor martyrs. … The apostles died for holding to their own testimony that they had personally seen the risen Jesus. Indeed, due to the fatal flaws inherent to the Conspiracy Theory, it was only embraced by a few deists in the nineteenth century. Its’ multiple flaws must indeed force us to conclude that a better explanation must be available. E.P. Sanders expresses well the opinion of many New Testament scholars. Most are convinced that the early Christians had experiences of some kind that lead them to believe that Jesus was alive. However, whether these experiences were veridical or the product of hallucinations is typically where scholars diverge. The most common response to the early Christians experiencing the Risen Lord is that they were the victims of hallucinations. However, the problem with this explanation is that early and independent sources affirm that “groups” of people were witnesses to the Risen Lord (1 Corinthians 15) and most Psychologists remain unconvinced that “groups” of people can experience the same hallucination at the same time. Furthermore, we would be justified in remaining skeptical about the truth of Jesus’ Resurrection if only some or even one of his early followers came to the conclusion that he had been resurrected. Indeed, sometimes people convince themselves of falsehoods when under serious emotional and mental pressure. However, the judgement of most New Testament scholars is that very many early Christians were convinced that they had experienced a resurrected Jesus of Nazareth. With these considerations in mind, the Hallucination hypothesis simply does not explain why groups of people were convinced they saw Jesus alive after his crucifixion. Richard Bauckham, Jesus and the eyewitnesses: The Gospels as eyewitness testimony. Grand Rapids, MI: William B. Eerdmans Publishing Company, 2017. John A.T Robinson, Redating the New Testament. Eugene, OR: Wipf and Stock, 2000. William Lane Craig, “Jesus’ Resurrection.” http://Www.reasonablefaith.org. Accessed August 10, 2017. http://www.reasonablefaith.org/jesus-resurrection. Michael R. Licona, The resurrection of Jesus: a new historiographical approach. Downers Grove, IL: InterVarsity Press, 2010. 370. Gary R. Habermas, “Explaining Away Jesus’ Resurrection: Hallucination.” http://www.equip.org. Accessed August 10, 2017. http://www.equip.org/article/explaining-away-jesus-resurrection-hallucination/. Ehrman, Bart D. Did Jesus Exist? : the historical argument for Jesus of Nazareth. New York: HarperOne, an imprint of HarperCollins Publishers, 2013. Bauckham, Richard. Jesus and the eyewitnesses: The Gospels as eyewitness testimony. Grand Rapids, MI: William B. Eerdmans Publishing Company, 2017. Craig, William Lane. Reasonable faith: Christian truth and apologetics. Wheaton, IL: Crossway Books, 2008. 362. Geisler, Norman L. Systematic theology. Minneapolis, MN: Bethany House, 2002. Habermas, Gary R.”Resurrection Research From 1975 To The Present: What are Critical Scholars Saying?” Journal For The Study Of The Historical Jesus3.2 (2005): 135-53. Licona, Michael R. The resurrection of Jesus: a new historiographical approach. Downers Grove, IL: InterVarsity Press, 2010. 370. Sanders, E.P. 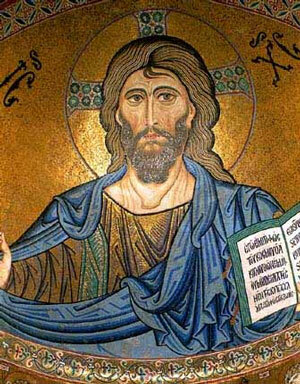 The historical figure of Jesus. New York: Penguin Books, 1996. Robinson, John A.T. Redating the New Testament. Eugene, OR: Wipf and Stock, 2000. Hi Everybody, here is a brief talk I gave at my Alma Mater a few months ago. This talk is a very personal one for me and it goes into what I believe is the very central truth of the Christian faith and the call God has placed on my life. I hope you are blessed by the message. If you have any further questions about the momentous event of the Resurrection or just want to talk I would love to hear from you. Blessings, Julian Pace.